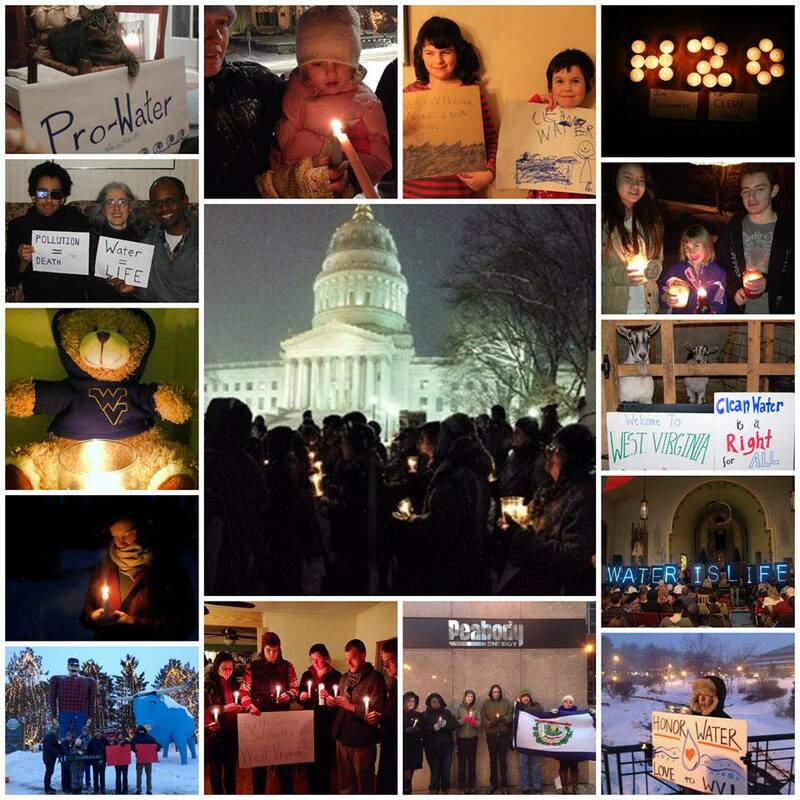 On Tuesday, January 21st, at 6:00 p.m., citizens of WV are honoring the Waters and holding a candlelight vigil by the Kanawha River, in front of the capitol. 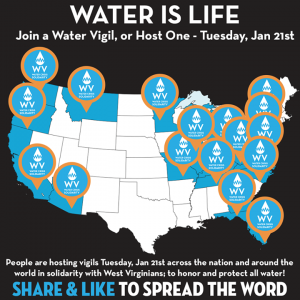 Other communities around the state and around the country will be gathering by their waters at the same time. We urge you to go to your river, near your home, and stand in apology to the waters and in solidarity with the people and other creatures who suffer when we disrespect and destroy them. Water is Life! You can respond to the facebook event here. This entry was posted on Tuesday, January 21st, 2014 at 11:24 am	and is filed under action, health, Uncategorized, water. You can follow any responses to this entry through the RSS 2.0 feed. You can leave a response, or trackback from your own site.